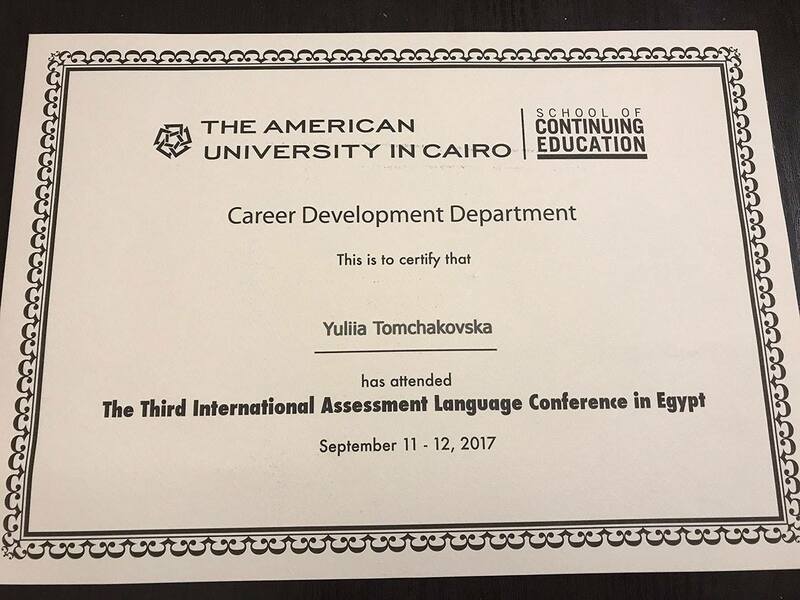 UALTA members Dr. Yuliia Tomchakovska and Dr. Oleksandr Tomchakovskyi took part in the Third INTERNATIONAL LANGUAGE ASSESSMENT CONFERENCE in Egypt (ILACE), which was held at the American University of Cairo (11-12 September 2017). 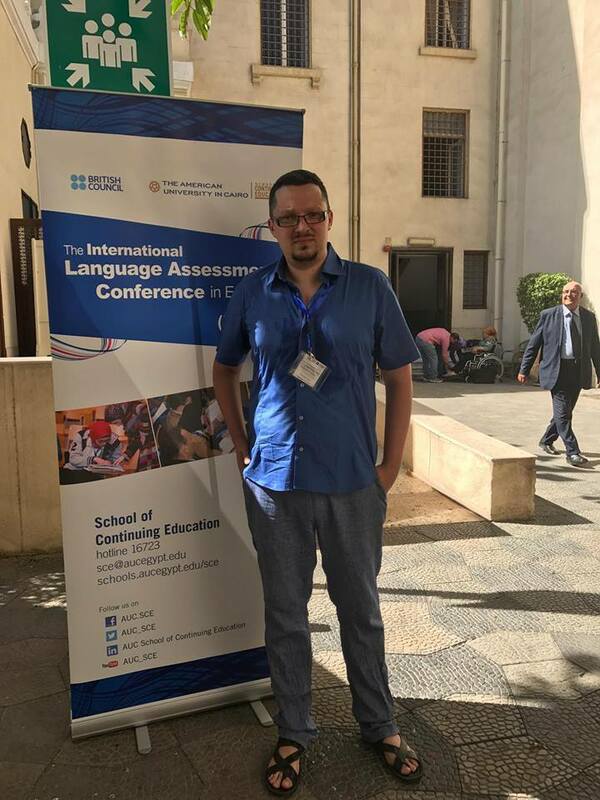 The conference focused on the challenges, opportunities, and new frontiers to be explored in the 21stcentury, whether in language assessment research, large-scale testing, or classroom assessment. 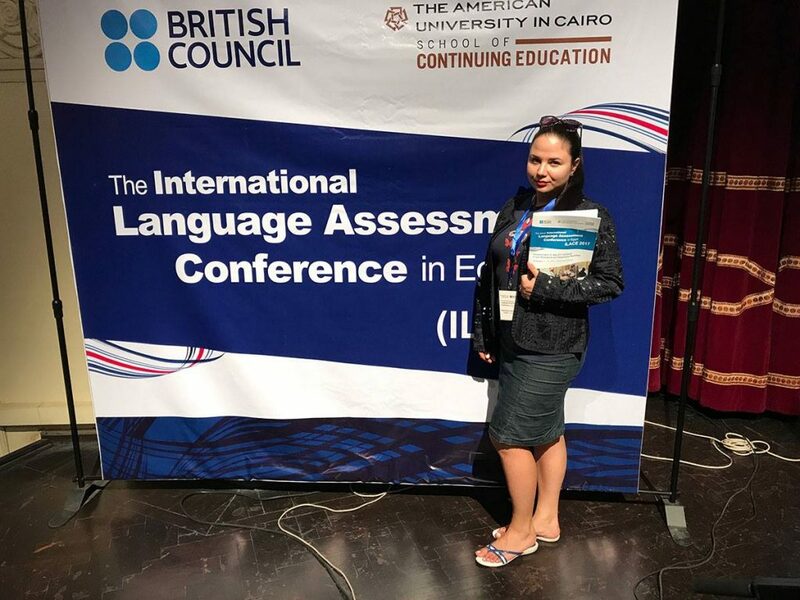 ILACE provided young professionals from 25 countries with opportunities for professional development, networking, and scholarly discussion within the area of language assessment. During the conference a number of practice-oriented workshops were conducted by well-known scholars in the field of language assessment, Dr. Christine Coombe and Dr. Dudley Reynolds. 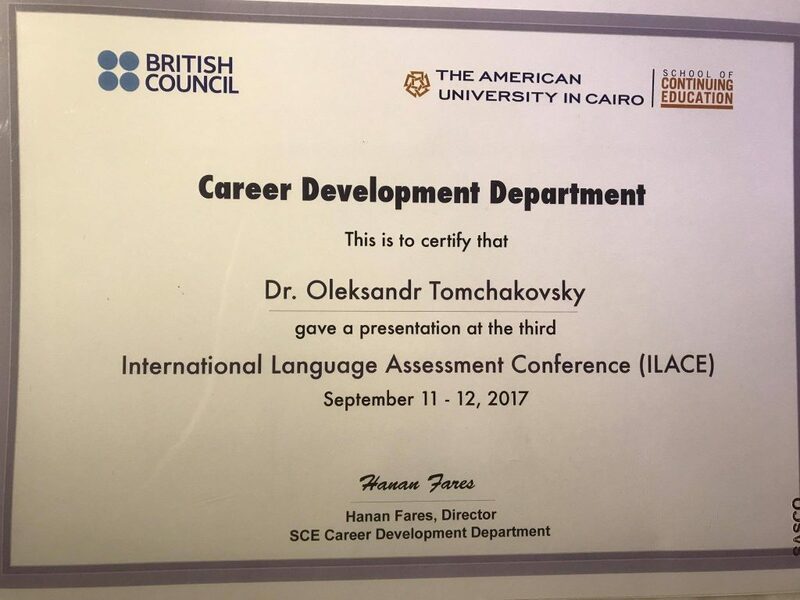 One of the presentations and a workshop “The role of mentors in ELT: observation, intervention and assessment’ were given by Dr. Olexandr Tomchkovsky. 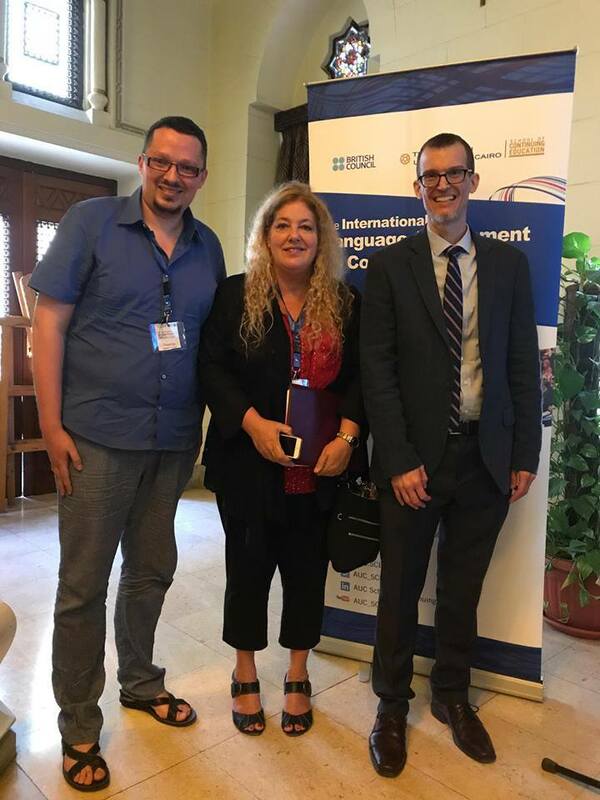 These workshops created a unique playground which promoted active involvement and participation by offering opportunities for the exchange of ideas and expertise within this area in Egypt, the Middle East, and worldwide. Well done!! Thank you very much, Yuliia and Oleksandr, for promoting Ukrainian assessment at such an acclaimed scholarly convention! !